Mediation Portsmouth, our Portsmouth mediators live, work in and cover the whole of Portsmouth & the surrounding areas. Being local our Portsmouth mediators can be with you within days, with no charge for travel time or costs. 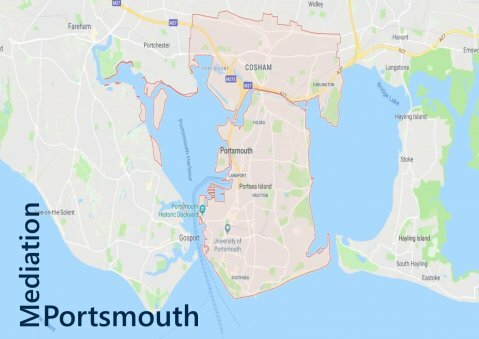 They have been providing Portsmouth mediation services for several years in a cost effective and confidential manner, covering every type of commercial, workplace, employment, family and neighbour dispute, with a very high success rate. Save money on expensive legal, expert and court fees. Save months even years in fighting through the courts. Not to mention the time off work to attend solicitor and court appointments. Save on the uncertainty and stress of going through the whole court process. Avoid court, and resolve your dispute today & get your life back. Cover the whole of the Portsmouth.